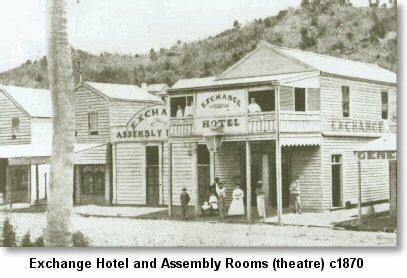 The Society was formed on Thursday 2nd December 2004 by a small group of volunteers who have an interest in collecting and preserving the history of the performing arts in the Townsville region. The official launch was on 11th March 2005 with the Society’s website and official notices to the performing arts groups of the region. It is hoped that these groups will support the Society by providing copies of their Posters, programmes, flyers etc from past and future shows etc. The Collection was started in 2001 as a hobby by Gordon Hodgson after he was inspired by his daughter-in-law who performed in local theatre. 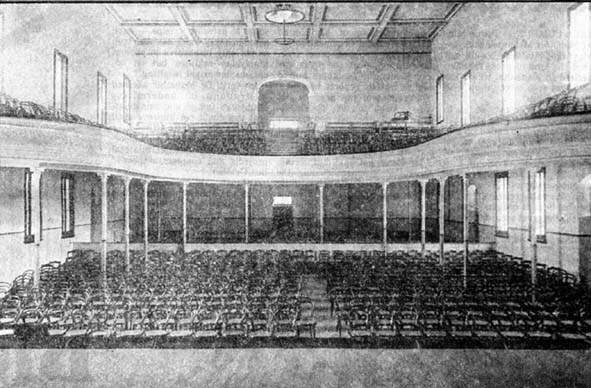 Because of his interest in history he had noticed a lack of material on the theatre while working as a volunteer at the Townsville Museum, and decided to fill this gap. He has collected pictures, thousands of newspaper cutting, and programmes from all facets of the performing arts in the area and it is all filed away meticulously. After hearing of Gordon’s collection other people began to donate memorabilia from theatre that they had participated in or had attended and so the collection grew. He saw it as the nucleus of a Performing Arts Museum in Townsville. In Gordon’s own words “I would hate to see the collection end up at the dump after I’m gone…” so this is why the Society was formed in December 2004. The foundation members had seen or had known about the Collection and wished to help preserve it for all who have an interest in the performing arts and wish to view it or use it for their own research. The Gordon Hodgson Collection is now housed at the Society’s Townsville Performing Arts Museum at the P1 Hut Precinct at Jezzine Barracks. We will place pictures and some of the interesting events in the history of the performing arts on this website. This information will be added to as the Society builds its Database of Gordon’s collection and we hope eventually to be able to provide on line search facilities of the database so that it will be seen by anyone with an interest in the performing arts. Gordon, now with the Society’s help, is continuing to add to his collection, so if you, or any of your friends, have any memorabilia from any of the performing arts in the Townsville area we would like to hear from you. We do not want to take away your memories, but we would scan the items of interest that you have and return them to you, or arrange for you to bring them to the Society and we scan them while you wait. If you have a collection of your own built up over the years then please think about donating or, after speaking to your family, having it bequeathed to the Society.